Time sure feels like it is flying by, especially since it is once again time for me to share a Polish Pickup nail polish! In the off chance you're not familiar with the Polish Pickup, let me quickly fill you in before I get to my review! The Polish Pickup is monthly shopping experience with a new theme each month selected by fans via vote on the Polish Pickup website. Indie nail polish brands then create a nail polish with their own specific inspiration that fits the theme and made available for purchase on Polish Pickup. Customers are invited to visit the website during the shop opening and purchase as many or as few items as they wish. This allows customers to pick up polishes that were inspired by their favorite themes without having to commit to a pre-selected themed box where you may end up with nail polishes you don't want. This is also a great option for when budgets are limited and you can only pick you single favorite. It is not a subscription service, and you can easily not buy anything at all if you wish. 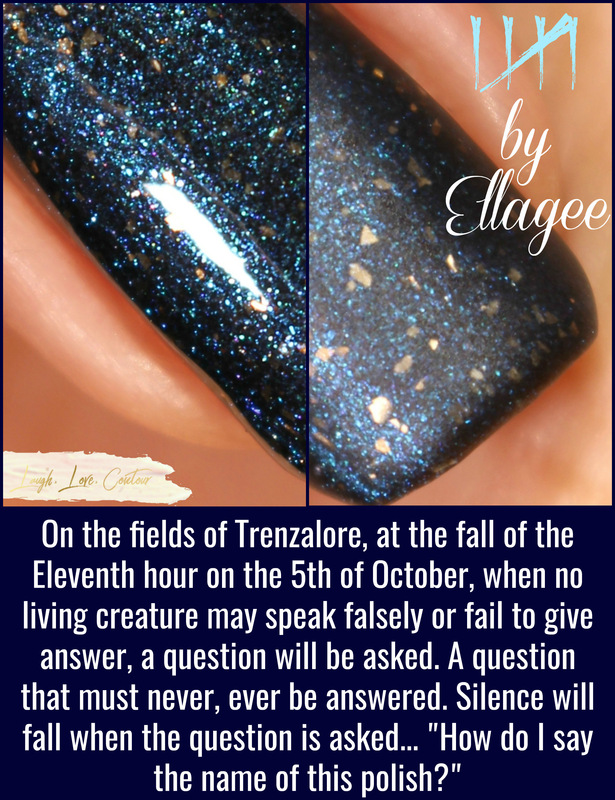 The theme for October is Villains, and for today's blog post, I have the beautiful |||| by Ellagee Polish to share with you. Inspired by The Silence, the terrifying Doctor Who villains that are always there but never in your awareness, it has the added benefit of appealing to all you fans out there! Let's check it out! 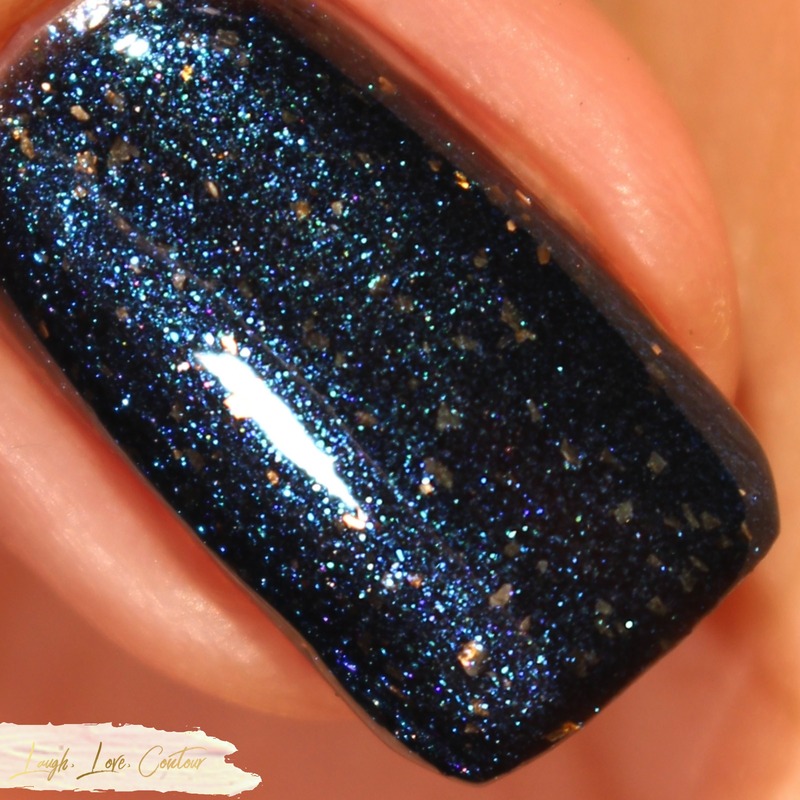 |||| starts off with a deep blue black jelly base and is loaded with blue and aqua shimmers. It is then completed with the addition of silver flakes. If your attention is turning towards deeper colours for fall and winter, this one surely fits the bill! In spite of all the shimmers and added flakes, |||| applies easily to the nails. The formula is thicker than often seen with mainstream nail varnish brands, but application to the nails is still uncomplicated and simple. I am also happy to report that the flakes disperse flawlessly without showing signs of clumping or tearing up the polish base. I used two coats to reach opacity and cover any nail line. I then added Ellagee's Glass top coat for extra shine. I love this look of this polish, but with the silver flakes, you know I just had to see what it looked like with a matte finish! Check it out! With a matte finish, the silver flakes show up even more while the shimmers are dialed down to a more subtle glow. |||| will be available for purchase from the Polish Pickup website only October 5th through October 8th. It will retail for $12, and there is no cap on the number of bottles that will be made available for purchase. 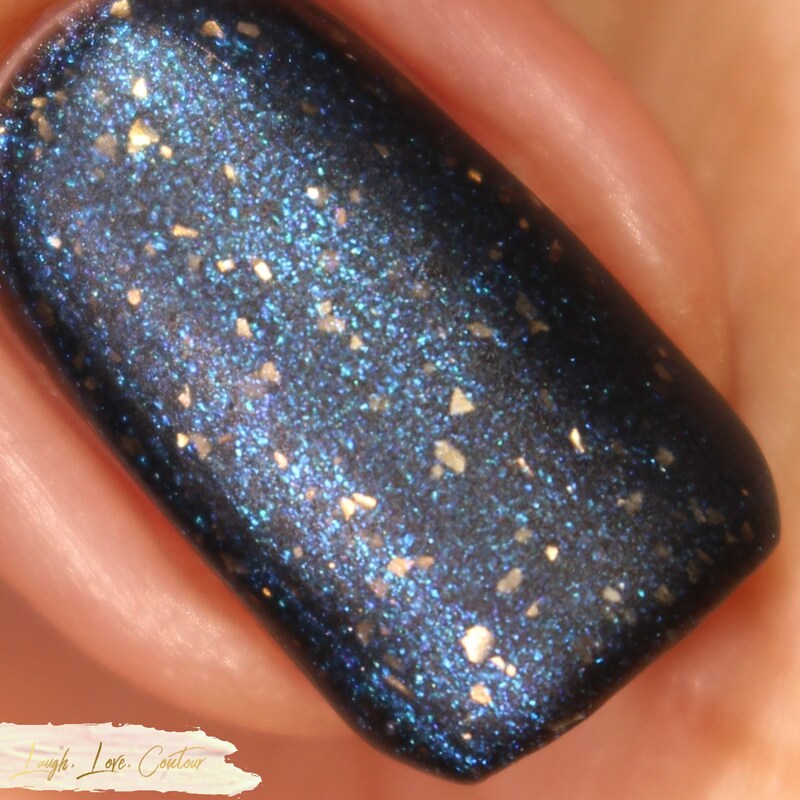 Are you a Doctor Who fan that needs to add |||| to their polish collection, or will you be picking it up because it is a gorgeous polish? Do you prefer it with a shiny finish, or do you prefer it matte? I'd love to hear from you! Very pretty celestial deep blue! Is it difficult to remove? As a die hard Whovian this is a must for me! I knew this would be amazing matte! The flakes pop off the base! Wow that shimmer really pops in the matte shots! Beautiful! Love the unusual name! This polish really rocks when you put on the matte topcoat. I love this, and can’t wait for the pick up!!! This deep, dark color is amazing! I love it with matte top coat! I love this polish both ways! I so wish to get back to painting my nails, such a pretty polish! I really like the matte version the most. It helped tone down the blue glitter and let the gold flakes pop. Love it!